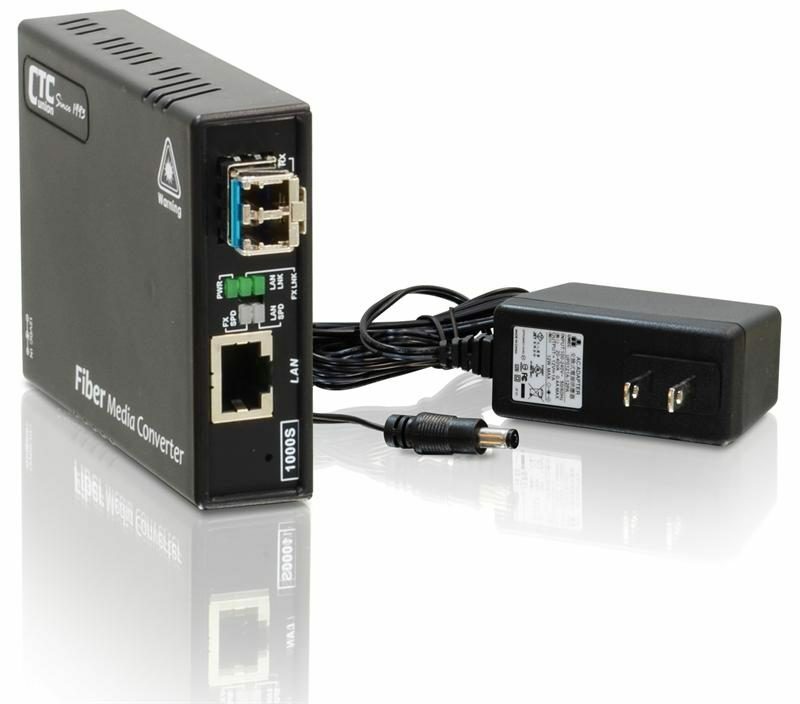 A new member of the popular FMC series, the FMC-1001S Gigabit converter has a dual speed Fast/Gigabit rate SFP slot (100/1000Base-X) for optical transceiver and one RJ-45 copper port with auto-negotiation 10/100/1000 and MDI/MDI-X features for the Gigabit Ethernet copper interface. 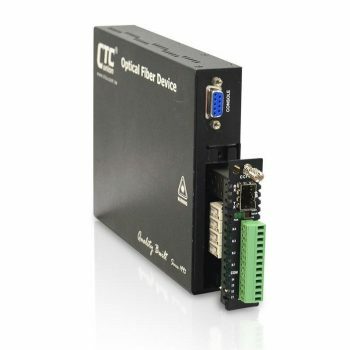 Unit has DIP sw settings available for LFP function, speed and flow control on each port for maximum flexibility and fine tuning of the fiber or copper link connection. 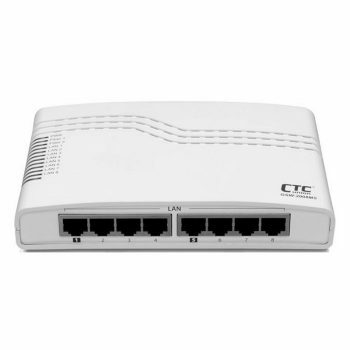 LED indicators signal the power status of the converter, UTP port speed, Link, and duplex status, FX port Link and duplex status. 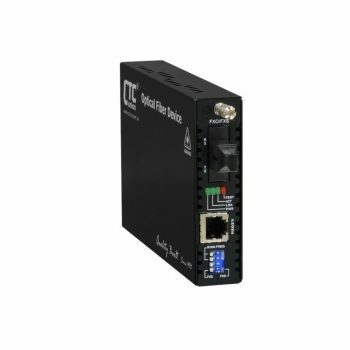 Used with their compatible FMC-CH17 fiber optic chassis they can be aggregated up to 17 units in a 19″ wide and 2U height space only. FMC series offer the same ability to be aggregated in a central chassis, like their FRM220 managed counterparts. 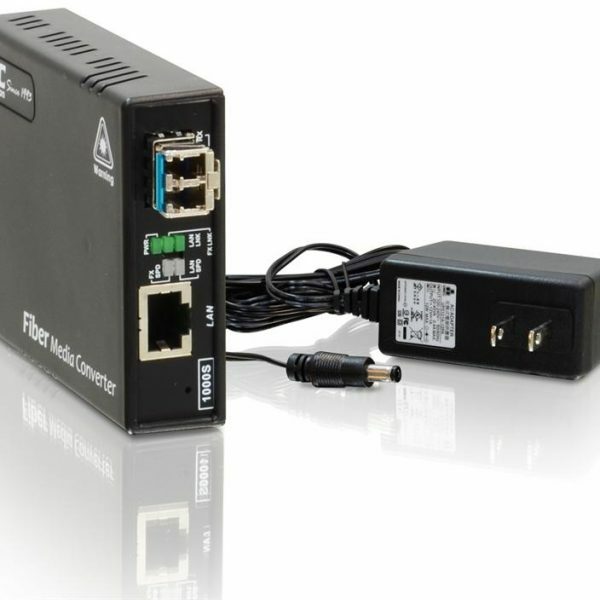 In an always changing and growing networking environment, such a versatile feature allows network operators to switch to higher density and aggregation hubs without the need to purchase new fiber optic converters.